Start a new holiday tradition! Thu, Dec 6 at 7:30pm Fri, Dec 7 at 7:30pm Sat, Dec 8 at 2:00pm Sat, Dec 8 at 7:30pm Back by popular demand! 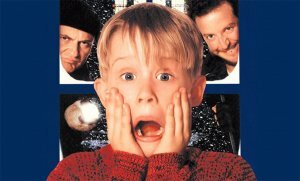 A box-office monster hit when it was released in 1990, this madcap family comedy has become a certified holiday classic. Experience the film like never before, as the TSO performs John Williams’s brilliant score live to picture.